After installing elementary OS at the end I got an error. My laptop originally had dual-boot with windows 8 and Ubuntu 14.04. I decided to replace Ubuntu 14.04 with elementary OS Freya, so I cleared the partition where ubuntu was installed using gparted and upon installing I chose the option which allows to install alongside windows. 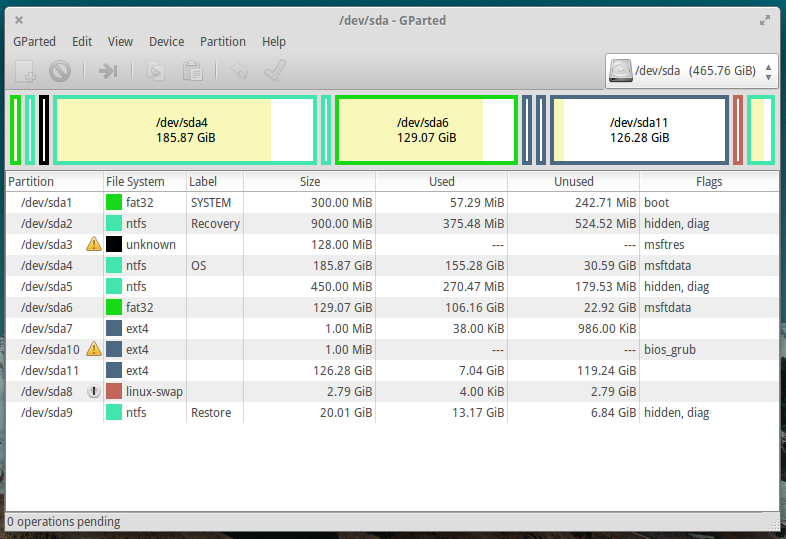 This is currently what my partitions are after installing: /dev/sda11 is where elementary OS is installed. Using super grub2 disk when in my cdrom and choosing the partition confirms that I elementary OS was installed and can be run. The problem I am having with is with grub. it takes me to the grub menu where I can select elementary OS or windows and selecting elementary OS boots the operating system. Tried following most of the solutions except the one involving boot-repair. But none worked for me. Check out the comments section of this bug thread. Freya has a know UEFI boot bug. Be sure to use your root partition as you are forcing the GRUB to load the file from the install. I also had this problem ('grub-efi' package failed to install into /target/) and I fixed according to this askbuntu post. Basically, what you have to do is use the option to "connect to Internet" during the Install process. It is not necessary to choose "download updates during install", just connect to Internet is enough. Not the answer you're looking for? Browse other questions tagged release-freya dual-boot microsoft-windows grub or ask your own question.